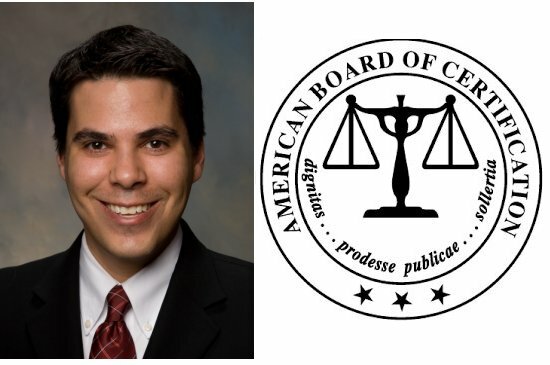 The Law Offices of John T. Orcutt are pleased to announce that attorney Koury Hicks has obtained his board certification in consumer bankruptcy law from the American Board of Certification. Hicks earned both his undergraduate and juris doctor degree from the University of New Mexico. He was admitted to the North Carolina bar in 2007 and is certified by the NC bar as a specialist in Consumer Bankruptcy. Complete extensive continuing education in bankruptcy law. Participate in a wide variety of bankruptcy cases, including contested litigation. Undergo a stringent and in-depth examination on bankruptcy law and ethics. Demonstrate an advanced level of skill in the area of bankruptcy law. Coauthor of the Means Testing chapter of the North Carolina Bankruptcy Practice Manual. Regular speaker at the Annual Bankruptcy Institute Seminar. Regular speaker at the Middle District of North Carolina Bankruptcy seminar. Graduate of Max Gardner's Bankruptcy Boot Camp. Volunteer with the Legal Aid of North Carolina and the North Carolina Bar Association's Attorneys on Call initiative. Member of the National Association of Consumer Bankruptcy Attorneys. Knowledgeable about the current status of bankruptcy law and recent case developments. Able to handle the most complicated of bankruptcy cases. Experienced in bankruptcy litigation and contested matters. Subjected to intense peer review to ensure integrity and the highest standards. Incredibly competent because of their focus on a specialized area of the law. In possession of superior expertise in consumer bankruptcy law. In addition to seeking a certified bankruptcy expert, you want a highly rated attorney. Koury Hicks is rated excellent by Avvo, an independent attorney rating service. If you are deep in debt that you can't pay, are living paycheck to paycheck and are looking for a meaningful solution to get your finances back on track, Chapter 7 or Chapter 13 bankruptcy may be a good solution for you. To schedule a free consultation with Koury Hicks or another of the expert bankruptcy attorneys at the law offices of John T Orcutt, call 1-888-234-4181 or click here to contact us.